Front Range Geriatric Medicine is a growing practice covering Fort Collins, Loveland, Windsor, and Greeley, Colorado. We focus primarily on patients in the sub-acute care setting – skilled nursing facilities. Our patients are either in the skilled nursing facility for sub-acute rehab or are in long-term skilled nursing level care. We partner with the highest quality facilities and practitioners in the region. The goal for our practice is to deliver the highest quality of care to patients who are limited by mobility and require an advanced level of oversight. We are MDs or DOs who are board certified in either internal medicine or family medicine. We have had work experience in either a hospital or Skilled Nursing Facility care setting. Our physicians work well together as they value and seek a fun and supportive culture. 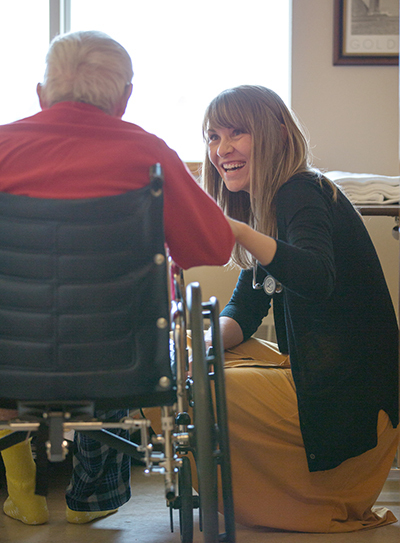 Meeting the care needs of an aging population working toward rehabilitation after a health change or surgery, or those with chronic diseases needing a palliative care plan, or developing a quality end-of-life plan are where we do our best work. We value the personal relationships we develop with our patients and communicate directly with them and/or their representatives. We honor the patient as the center of control and their goals are what we focus on. You will find us in our locations frequently throughout the week. We are available to our patients, their representatives, and the facility staff to work together on the best plan of care. We look forward to caring for you or your loved one in the Skilled Nursing Facility we serve in Northern Colorado.